My son and I were on a recent visit to my hometown. My nephew Liam was eager to entertain his 2 year old cousin so he went on a treasure hunt around the house and found these toy-like objects – miniature vehicles that are almost too beautiful to play with. These miniature models became the inspiration of this week’s posts “Vehicools”. We look into vehicles that are ‘cool’ and ‘noteworthy’ because of how they came to be and what they have come to symbolize. 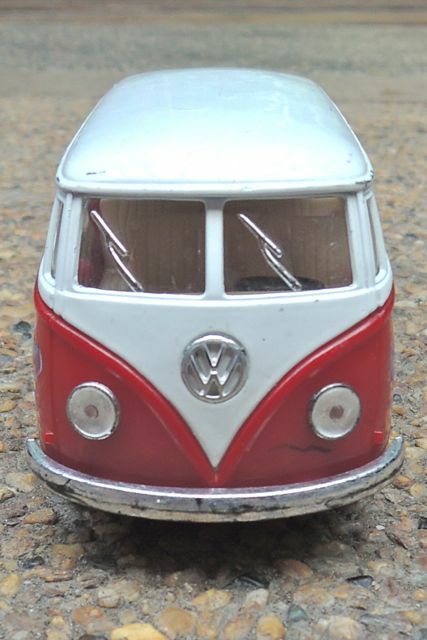 Today I bring you the Volkwagen Bus, a.k.a. 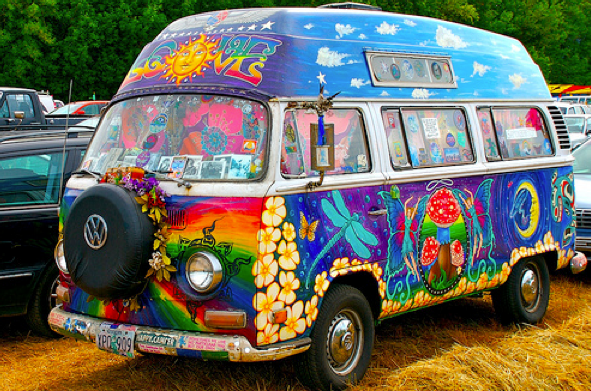 the ‘Hippie Van’. We look into its origins and how it came to be the symbol of the counterculture movement – “Flower Power” of the late 60’s and early 70’s. The Volkswagen Type 2, known officially as the Transporter or Kombi (campers, short for Kombinationskraftwagen) and informally as the Bus (US) or Camper (UK), is a panel van introduced in 1950 by German automaker Volkswagen as its second car model – following and initially deriving from Volkswagen’s first model, the Type 1 (Beetle), it was given the factory designation Type 2. As one of the forerunners of the modern cargo and passenger vans, the Type 2 gave rise to forward control competitors in the United States in the 1960s, including the Ford Econoline, the Dodge A100, and the Chevrolet Corvair 95 Corvan, the latter adopting the Type 2’s rear-engine configuration. European competition included the 1960s FF layout Renault Estafette and the FR layout Ford Transit. The FF layout Citroën H Van though, pre-dated the VW by three years. As of January 2010, updated versions of the Type 2 remain in production in international markets— as a passenger van, as a cargo van, and as a pickup truck. 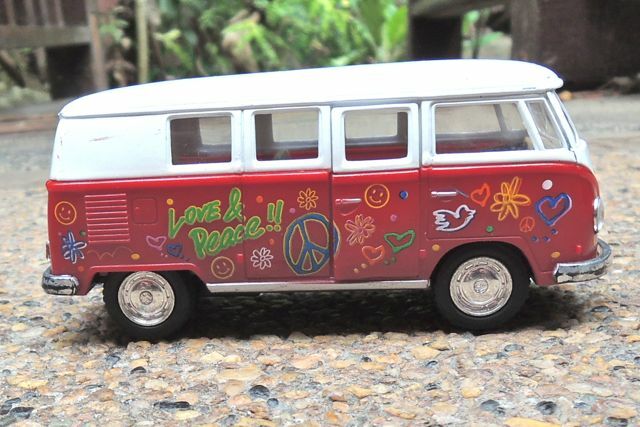 Like the Beetle, the van has received numerous nicknames worldwide, including the “microbus”, “minibus”,and, due to its popularity during the counterculture movement of the 1960s, “Hippie van”. 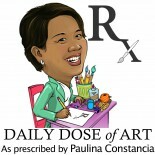 This entry was posted on June 8, 2012 by Paulina Constancia in Uncategorized.